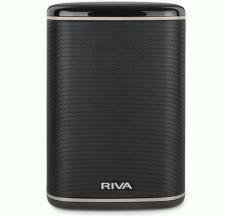 A couple of years ago at CES, in an invite-only suite at the Hilton (or LVH or Westgate or whatever the hell they're calling that place these days), RIVA Audio founder Rikki Farr casually waved his hand in the general direction of the company's highly lauded RIVA S Bluetooth speaker and proclaimed proudly, "I promise you this is the worst piece of s**t we will ever make." Bold words, given the praise that has been heaped on that speaker. And no, that quote wasn't intended for public consumption, but it certainly set my expectations high for whatever would come next. 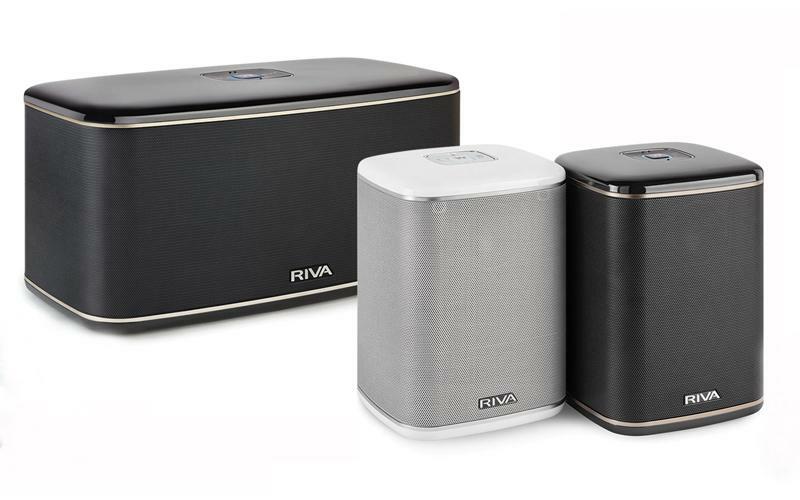 As it happens, what came next was RIVA WAND, a series of wireless multiroom speakers that definitely takes the company in a new direction. 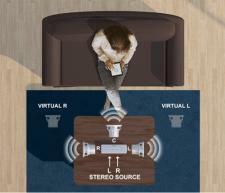 Does the world really need yet another new wireless multiroom music system? I'm sure if you asked the average home technology enthusiast, the answer would be a resounding no. But I think there's room for at least one more, and I say that mostly because none of the options available to this point really works universally well for everyone. Sonos, while certainly great, is a pretty closed ecosystem. HEOS and MusicCast also limit you to specific brands of hardware. Play-Fi, while an open standard, seems to work perfectly fine for some people but is a networking nightmare for others (yours truly included)--not to mention the fact that it lacks essential features like gapless playback (seriously, no bueno for Grateful Dead, jazz, and classical music fans). Most AirPlay-compatible speakers aren't made with multiroom in mind, and Bluetooth has range issues and also tends to work best (when it works reliably at all) in one-device/one-speaker setups. So, yeah, I know many of you probably groaned right out loud when RIVA announced WAND (which stands for Wireless Audio Network Design, in case you thought I was yelling at you), but I say bring it on, especially given that RIVA brings something a little different to the table with the two speakers in the line. 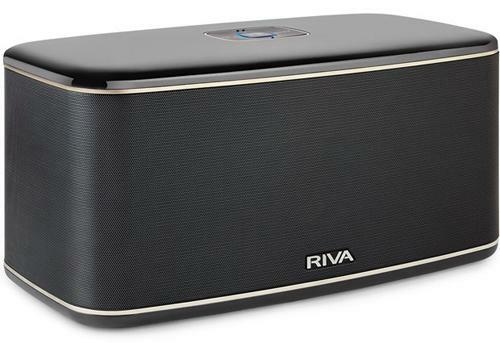 Perhaps most noteworthy is the fact that RIVA has thrown the kitchen sink at the whole issue of connectivity, with support for AirPlay, Bluetooth, Spotify Connect, DLNA, and even Chromecast, along with 3.5mm aux audio and USB inputs on both its WAND Arena and WAND Festival speakers, as well as an optical input on the latter. The WAND Arena ($249)--which is, oddly enough given its name, the smaller speaker in the lineup--is a five-inch-tall, 50-watt vertical cabinet featuring three of ADX's full-range two-inch drivers (one on the left, front, and right of the cabinet), each of which is supported by a passive radiator beneath it. For a wireless speaker this small to possess stereo capabilities is unusual enough--even if that were all the Arena had going for it, it would stand out. Add in the speaker's genuine portability (when combined with the optional $99 battery pack) and splash resistance, and (as far as I'm aware) that makes the Arena the only portable speaker on the market that supports Chromecast. The 200-watt WAND Festival ($499), by contrast, is a wholly more complicated and much larger affair. Its cabinet measures nearly 15 inches wide and just shy of eight inches tall, with about seven inches of depth from front to back. A trio of 0.75-inch tweeters on the front, left, and right sides of the cabinet are joined by three powered four-inch woofers beneath them, with two passive radiators of similar diameter flanking the active driver array on the front of the enclosure and two more passive radiators on the rear. 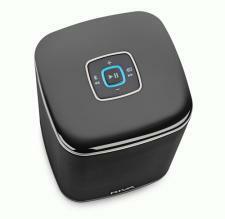 Both speakers also feature a handful of features that add to their versatility, the main one being an ad hoc networking mode called Away, which allows you to connect multiple WAND speakers together in multichannel or multizone mode even if you're away from your home network. Then there's the system's extensive file format support, including MP3, ALAC, APE, FLAC, FLAC HD, HLS, WMA Streaming, RTSP, and WAV, at resolutions and bit depths up to 192/24. The Arena and Festival also support several different modes of playback, including the company's Trillium mode (the default mode, with an emphasis on channel separation and overall ambience), the Power mode (which sacrifices a bit of channel separation for some additional oomph), and Left and Right modes that allow you to configure a speaker as either the left or right channel in a true multi-speaker stereo setup. As RIVA describes it, Trillium is a proprietary process that "upmixes the left/right stereo signal ... and creates a stereophonic image that sounds much larger than the actual speaker size would indicate. The sound system processor creates a broad soundfield by directing the appropriate signals to the three active speakers placed on the left, center and right side of the cabinet. The output of these three speakers allows the sound to mix in-air to create virtual left and right speakers outside the enclosure." With all that, you could be forgiven for thinking that setup of the WAND speakers might be a weensy bit complicated, especially when you notice that proper setup requires two separate apps. That would be an incorrect assumption. Setting up the system is a delightfully uncomplicated, quick, and straightforward process that takes mere minutes. Why two apps? The Google Home app is used for adding the speakers to the home network, naming them, and setting up any speaker groupings you might want to configure. The process is practically automatic, since the app detects the speakers as soon as they're powered on. If you're setting up multiple speakers, it prompts you to configure the next as soon as one is all configured and ready to rock. While the Google Home app covers networking and grouping, it doesn't deal with Bluetooth, should you wish to set up a pairing or two. For that, you simply move over to the RIVA WAND app, put your speaker of choice into Bluetooth mode, then poke the appropriate buttons on your mobile device. You can also enable Bluetooth pairing mode via the speakers themselves, by pressing and holding the center button. Physical setup is just as straightforward. If you want to add a battery pack to the WAND Arena, the connection is intuitively obvious. In my case, I went ahead and attached a couple of lightning cables to the USB ports on each of the speakers--not so much as an input, but more to tap into the charging capabilities of both speakers. And that's pretty much that, unless you want to tinker around with audio modes or multi-speaker stereo setups.